96% of all dogs surrendered to animal shelters have never received any obedience training. 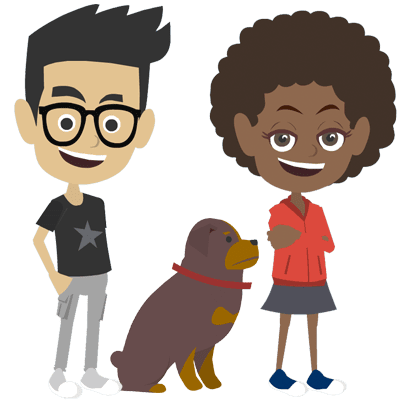 We believe that educating children on how to be a responsible and caring friend to their dog, is a good way to reduce the number of dogs in shelters. Once children understand the importance of dog safety, dog bite prevention, spaying and neutering, and proper health care, they’ll become an advocate of dogs in their home and around the world. Do you know a school, service club, church, or after school program servicing children in need? We have a limited number of resources available to provide free education materials. We do get more requests than we currently have the resources to fulfill, but we’ll keep your name on file and contact you when materials are available. If you can’t wait, feel free to purchase a copy from our online store, starting at $20.